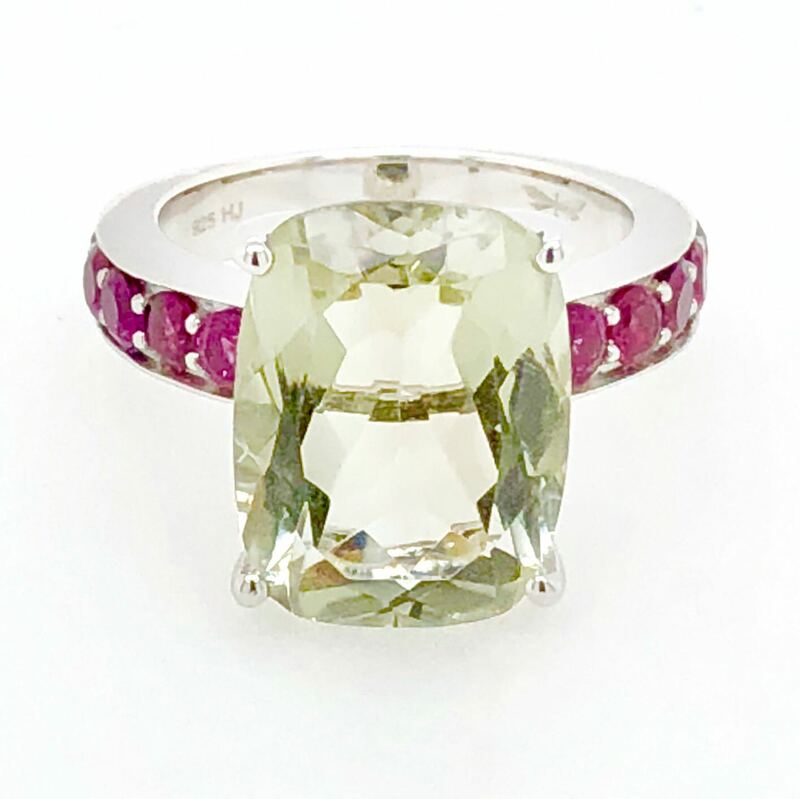 Presenting a unique Green Amethyst and Pink Rhodolite dress ring from our Highlands Jewellery Cocktail Collection. This collection has been designed in-house by our team. 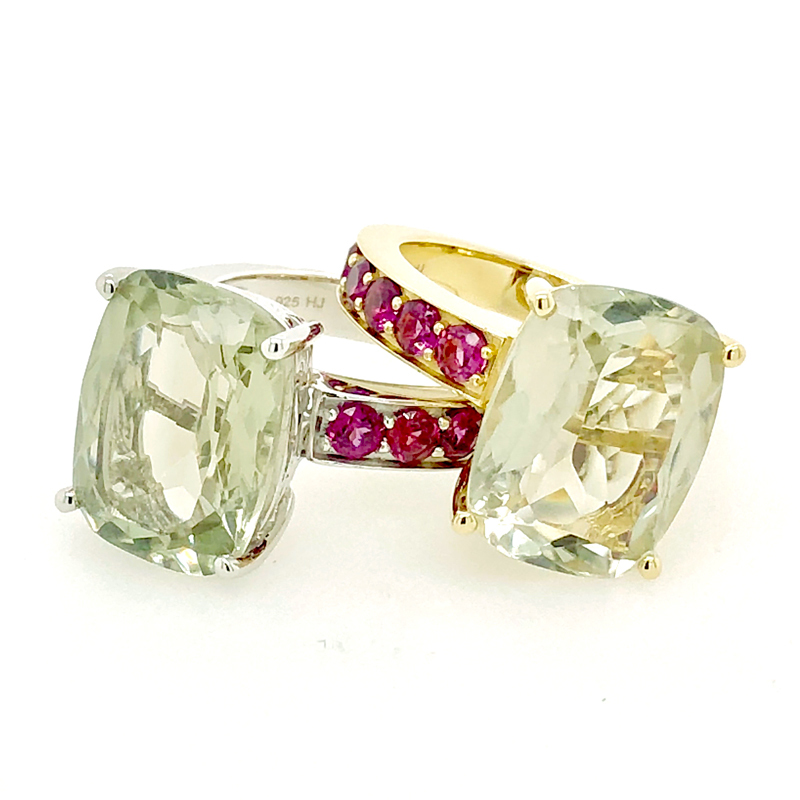 This ring is a showstopper made in 925 sterling silver with a square, slightly tapered band. Size Q is available to ship now. Resizing will take up to 3 weeks. Please get in touch with us for any special size requests or questions.